Epson ink cartridges are trusted in homes and businesses up and down the country for their superior quality document and photo printing. Whether it’s occasional home printing, photo printing or high-volume office work, Epson delivers affordable printing solutions. Designed to help you get the best possible print quality from your Epson printer, you can expect crisp, laser-like text and fine line printing, as well as vibrant and glossy photo images. Reliable and affordable, Epson ink cartridges are engineered to serve the complete range of Epson WF, EcoTank, XP, Stylus and Stylus Office printers. Using compatible Epson ink means you’ll achieve brighter colours, better colour accuracy, and obtain superior print quality for longer from your Epson printer. 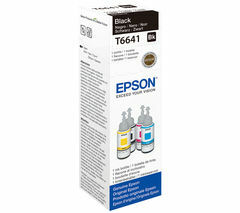 Epson uses the latest advances in ink tech to bring you smart printing innovations. 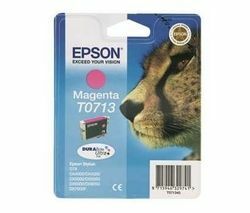 Epson ink like Claria Premium is used in its photo ink cartridges to produce crystal clear lab-quality glossy photos. Advance DURABrite Ultra ink is ultra-quick drying, for instantly smudge-proof and waterproof results, brighter colours and longer-lasting prints. For better value over single cartridges, Epson’s multipacks and XL printer cartridges are ideal for everyday use and high volume print tasks. In the home or at the office, for stunning photo quality and the sharpest text, Epson ink cartridges deliver reliably great results at pocket-friendly prices. For an even wider cartridge selection, take a look at our HP ink range too.